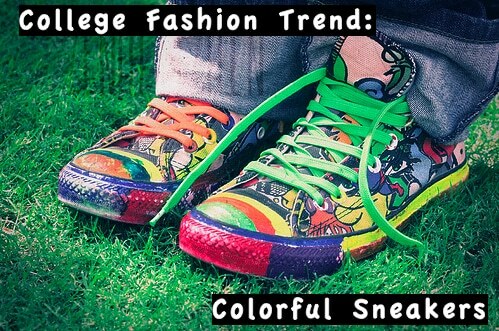 From slip-ons to high-tops, colorful sneakers have become more diverse than ever, and they’re popping up on college campuses across the country! Whether you prefer Converse, Keds, Vans, or Nike (just to name a few), bright sneakers are an infusion between youthfulness, comfort, and style. They’re easy to wear, stylish, AND comfortable. Even better, they’re also a great investment, as they can withstand a lot of wear and tear. There is such a variety of bright sneakers out there for fall 2009…the selection alone can be a little overwhelming. But don’t worry, I’m here to help you find that perfect pair. Here are the kinds I have noticed most around campus this semester! Slip-ons are laceless sneakers that literally slip on to your feet. I always think of slip-ons as a median between ballet flats and sneakers. Many universities require students to wear closed-toe, protective shoes in science laboratories, so slip-ons are a great way to be safe AND stylish! My favorite slip-ons are Vans. 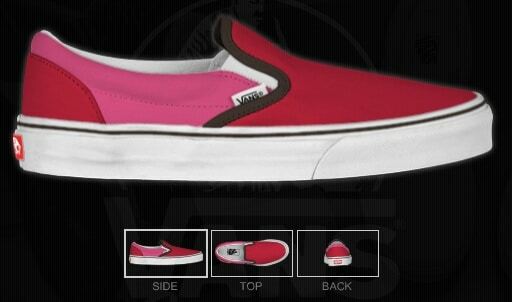 You can even customize your own pair on their website! Even better, Vans makes a line of organic slip-ons, for eco-friendly chic – gotta love that. Product Information (left-to-right): Psychedelic Slip-Ons, Purple Slip-Ons, Organic Orange Slip-Ons – all Vans. Remember those colorful Keds you had as a kid? They’re back! Lace-ups are probably the most known of all the colorful shoes – they’ve been around forever and aren’t going away any time soon. And for good reason – they’re super practical. I recently volunteered at a hospital doing arts and crafts with kids and these were the perfect shoe! My favorite low-tops are Keds. Similar to Vans, Keds makes eco-friendly versions of their shoes, and they also have a web-based way to customize your own perfect pair! Product Information (left-to-right): Plum Lace-Up, Lemon Lace-Up, Salsa Verde Lace-Up – all Keds. 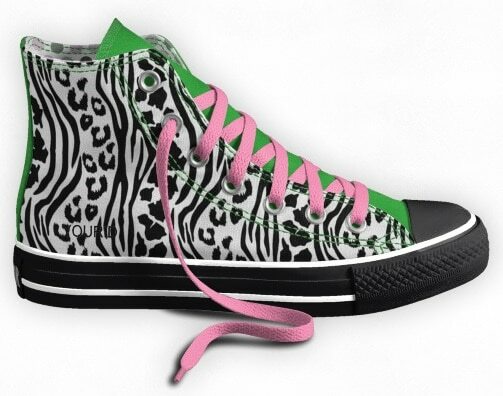 When you want to stand out from the crowd, reach for a pair of colorful high tops because they make a statement. And they’re super popular – even my 12 year old sister wears them! High tops, to me, say fresh, daring, and cool. My favorite high tops are Converse. Converse features a design-your-own feature (just like Keds and Vans) but they also have speciality collections, such as shoes that give tribute to classic rock groups. There’s a high-top option for every style! Product Information (left-to-right): Gold High-Tops, Black and White High-Tops, Gray High-Tops – all Converse. There are a number of ways to wear colorful sneakers – from funky and casual to girly and chic. You can be as creative as you like – it’s possible to make any pair of colorful sneakers work with your individual style. 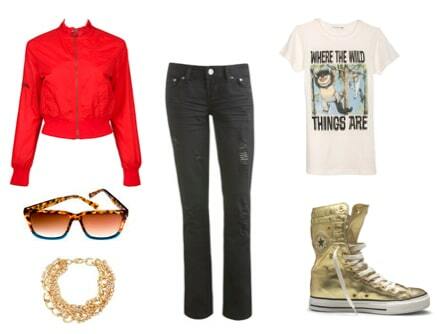 Here are some example outfits incorporating colorful sneakers, inspired by girls I’ve seen sporting this look around campus. You’ve seen my ideas for wearing high tops around campus. Now I want to know what you think! What do you think about this trend? Do you like any of the inspirational outfits? Which pair fits your style best? Add your comments! Previous Would You Wear… Ankle Socks and Heels?